We’ve been Cleveland’s Spring Break Destination for almost three decades. With 20 acres of rides taking you to new heights indoors, the I-X Indoor Amusement Park has something for everyone! The perfect place to bring the little ones! Lots of rides that are just their size, and a few for moms and dads to ride along on too! Go way, way up on the I-X Center Giant Ferris Wheel and look for airplanes, then get back on the ground and go for a drive on the Dragon Wagon. If you’re in the mood to race, get the family together on the 3-lane Giant Slide! Kids that love to spin will love the Bear Affair. And don’t miss the petting zoo, with lots of cute critters looking for attention! What’s cooler than cool? Thrill City! The fastest and craziest rides are here to flip, drop, and spin you into I-X Indoor Amusement Park fun! 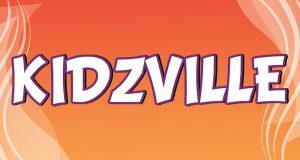 This year, we are excited some brand new rides including the Wild Mouse Roller Coaster, not to be confused with the Wild Cat from last year (which is back again)! 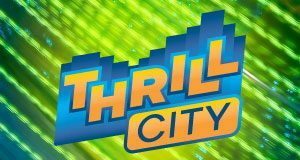 Thrill seekers beware — you may have met your match here at Thrill City. Check out the Wild Cat Roller Coaster in action from this 360 degree video HERE!